Laerdal Medical's Distributor Network specializes in the pre-hospital, hospital, occupational health, education, industrial, law enforcement and school markets within the Continental U.S. They are available to assist you with obtaining Laerdal products and help answer any questions you may have. Looking for Authorized Government Distributors? Armstrong Medical is a small business and distributor with over six decades of experience at bringing the finest medical equipment to the hospital, EMS , and medical education communities. Armstrong Medical Industries, Inc. has retained its quality of products and excellence in service that has made it a standard in the industry for 60+ years. Armstrong Medical Industries, Inc. supplies medical carts, CPR manikins, medical education manikins and equipment for emergency, anesthesia, hospitals, EMS , and education. Bound Tree Medical is a specialty distributor of emergency medical equipment, supplies, pharmaceuticals and product expertise for fire departments, military, government institutions and other EMS organizations that provide pre-hospital, emergency care. Bound Tree supports customers with a team of EMS-experienced account managers, product specialists and customer service representatives, backed by strong vendors and a national distribution network. From everyday disposable items to extensive capital equipment, Bound Tree offers thousands of quality products from leading manufacturers to help EMS professionals save lives. With over 30 years of experience, Bound Tree truly understands the needs and demands of EMS providers and delivers the products and services that address those needs. Channing Bete Company is a one-stop resource for CPR Training products and educational materials, carrying a complete line of manikins, barrier devices, airway management products, and a wide range of consumer and patient education materials. In addition to publishing and distributing educational resources for schools, public health organizations, and private and government agencies, has expanded its horizons to include a growing array of positive youth development programs. Emergency Medical Products, Inc. (EMP) has been serving the emergency medical supply and equipment needs of EMS, first responders, fire and rescue, public safety, hospitals, colleges and universities, and more since 1972. We bring an industry leading ecommerce website, high-end customer service team and 30+ years of expertise to provide an unrivaled range of medical supplies and equipment to meet the needs of our vast and diverse customer base. School Kids Healthcare (SKHC) is a direct sister company to EMP. SKHC is a medical products and equipment supplier with a complete line of school nurse supplies. SKHC has been serving the healthcare supply needs of school nurses, preschools, daycares, colleges and universities, hospitals, businesses, and more since 2006. 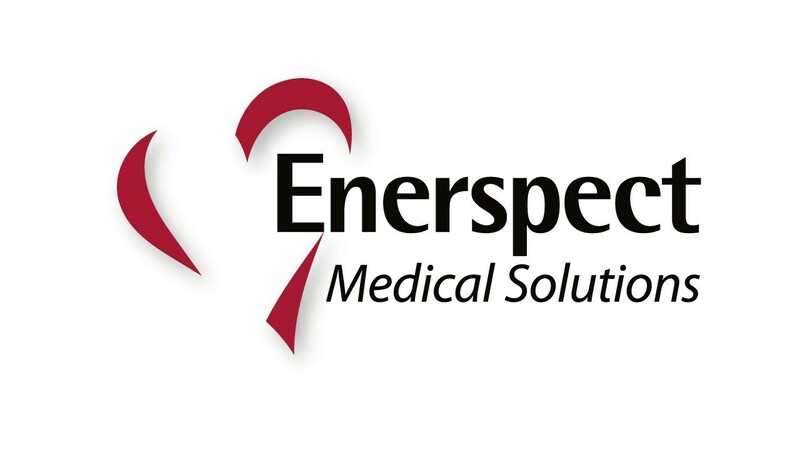 Enerspect Medical is a specialty distributor partnered with industry leaders to provide fire departments, EMS agencies, private organizations and government entities with innovative new technologies, certified pre-owned equipment, and the most competitively priced service solutions. Enerspect Medical Solutions has 30 years of experience in the emergency medical response market offering solutions focused on strengthening emergency response systems to improve overall medical outcomes through training and innovative technology solutions. G.E. Pickering, Inc. is a major distributor of Emergency Medical Equipment, Defibrillators, CPR Training Equipment, Supplies and Accessories. With over fifty years of experience providing First Responders and the Medical Community with quality BLS and ALS products at competitive pricing. G.E. Pickering contracts directly with the finest manufacturers to secure the best possible pricing which enables them to pass those savings along to you. Life-Assist, Inc. is a full-line distributor of high-quality emergency medical supplies and equipment. Since 1977, we've specialized in customer service, with customer satisfaction as our ultimate goal. You'll never talk to a computer when you call Life-Assist - only trained, knowledgeable, and friendly customer service representatives. We pride ourselves on responding to the ever-changing needs of the EMS professional, and constantly strive to stay informed about the current procedures and equipment used in the pre-hospital environment. Pocket Nurse is a nurse owned-operated company that is committed to providing cost-effective, quality medical supplies and equipment to Healthcare Educators. In 1992, Pocket Nurse was formed to produce and/or distributor medical education supplies and equipment to nursing schools. Today, they have increased their customer base to include Healthcare Educators worldwide. Pocket Nurse has friendly and efficient Account Managers available to help you with your educational medical supply and equipment purchasing needs. School Health Corporation offers one-stop shopping on over 7,000 products and we are the leader in introducing new technology to our markets. Our Service and Calibration Department repairs and maintains the vision and hearing screening instruments and other medical devices we sell. We are the leading supplier of medical supplies and equipment to school nurses, athletic trainers, and other specialty healthcare professionals. More than 60,000 schools count on us for their medical supply needs. We strive to get orders picked, packed and shipped within 24 hours and we have a 100% satisfaction guarantee. Southeastern Emergency Equipment is a full-line specialty distributor providing equipment, supplies, pharmaceuticals and training/education solutions to the EMS and Fire communities since 1979. We are led by and dedicated to EMS and Fire, as a large percentage of our management, sales and customer service team are current or former EMS and Fire professionals. Southeastern was founded more than three decades ago on the core values of trust, respect, accountability and commitment. And while we are changing and expanding to serve our customers even better, our “DNA” will never change. A friendly, knowledgeable EMS professional will be on-hand to assist you when needed, and each sales representative brings real-world experience to clinical needs. Our Customer Service Department serves as an extension of our sales team and, in addition to order processing, can assist with problem resolution or equipment recommendations. Our Training and Education Department offers EMS and American Heart Association (AHA) classes to better serve the educational needs of our customers and the community. Tri-anim Health Services, Inc. is a specialty healthcare supplier that provides innovative products paired with clinical expertise for hospitals and advanced patient-care facilities. The company offers a variety of leading-edge technologies and everyday consumables that are targeted to meet the specific needs of respiratory, anesthesia and critical care providers. With over 30 years of experience, Tri-anim understands the business of healthcare and offers value-oriented programs designed to improve patient care and maximize operational efficiencies. Combined with a fast and reliable supply chain, nationwide sales support, in-service training and one-call customer care, Tri-anim specializes in healthcare excellence. V.E. Ralph is a "Full-Service" distributor of emergency medical supplies and equipment and the most trusted name in emergency medical products. Dedicated to "Serving the People Who Serve the People," V.E. Ralph is committed to providing you the best equipment and supplies for the best value. Our high levels of inventory help ensure that we have what you need in stock and ready for shipping. We concentrate our full range of services in New Jersey, Pennsylvania, and New York State, including the metropolitan areas of New York City and Philadelphia. Our business hours are Monday - Friday, 8:30am to 5:00pm , Eastern Time. V.E. Ralph & Son, Inc.
WorldPoint is a leading international supplier of educational materials and products for healthcare training. In addition to being proud partners of the American Heart Association, American Association of Pediatrics and Military Training Network, we carry a wide variety airway management tools, AED trainers, barrier devices, life-like manikins and models and task trainers. WorldPoint takes a consultative approach to our business by understanding our customers and recommending the most appropriate products to support CPR, advanced cardiac life support, pediatric and neonatal resuscitation and simulation training. As always, we remain focused on providing our customers with “most memorable service” and products that meet our high standards of excellence.